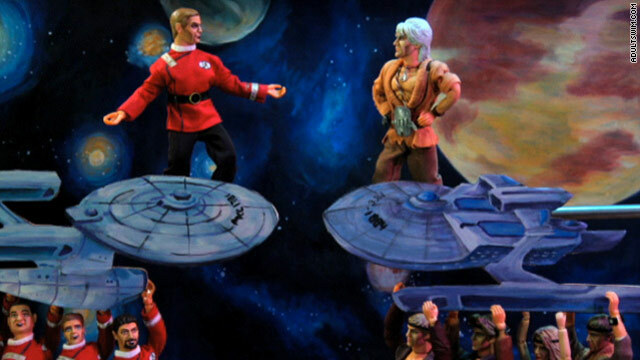 "Le Wrath di Khan," Robot Chicken's operatic send up of the famous Star Trek movie, is a fittingly dramatic homage. Sometimes we get mad, shake our fist in the air, and yell "Khaaaaaan!" at the top of our lungs. Just like Prince did when he was helping Chaka Khan record "I Feel For You". That's precisely why AdultSwim.com was inspired to list, in order, their very favorite Khans. From "Comic Khan" and Salman Khan to Robot Chicken and Samuel Coleridge, we dare you not to chuckle at the ways Khan has influenced popular culture.